MIHS Landscaping L.L.C. is one of the fast growing landscaping company. We at MIHS Landscaping L.L.C. provide quality landscape work with superior services for our clients. Our goal is to create landscape value for our customers and maintain a continued sense of pride for our employees. We shall continue to position ourselves as a leading company in our industry. MIHS Landscaping L.L.C. specializes in Hard Landscaping, Soft Landscaping, & Irrigation works, Water Features, Wooden Pergolas, Gazebos and Pool Decking etc. 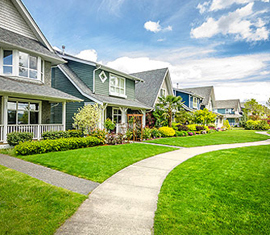 We serve our community by their landscaping needs & as per their requirement. We would like to take the opportunity to work for you. We pride ourselves on our reliability and our success is entirely dependent on your personal satisfaction. Our goal is to create landscape value for our customers and to maintain a continued sense of pride for our employees. We shall continue to position ourselves as a leading company in Landscaping works. We serve our community by beautifying public surroundings with better landscaping solutions & ideas We would like to take this opportunity to work for you. MIHS Landscaping, Complete Solution for Your Landscaping Vision. MIHS Landscaping L.L.C. is one of the fast growing landscaping company. We at MIHS Landscaping L.L.C. 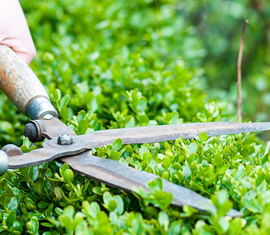 provide quality landscape work with superior services for our clients.